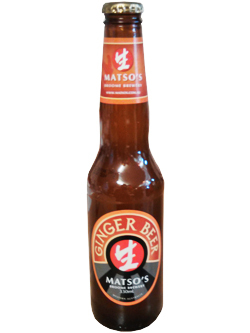 Matso's Ginger Beer is a refreshing 'hot weather' drink, displaying a pungent bite of ginger with enough residual sweetness to soften it's impact. Drink it straight up, over ice, or as a wicked mixer with your favourite rum. This is the best Ginger Beer and would highly recommend it, especially if you have never tasted giner beer before. Love, love, love this beer! Awesome taste, amazing drink! My favorite! I used to live where this product was produced, Broome Western Australia. It really is the nicest tasting alcoholic ginger drink I've ever tried.